Facebook has revealed a little more about what compelled it to spend close to $19 billion earlier this year to buy mobile messaging service WhatsApp -- a deal that had many scratching their heads at the huge sum. Roughly $15.3 billion of the price Facebook paid is attributed to "goodwill," according to a filing with the U.S. Securities and Exchange Commission made on Tuesday. Goodwill, in business accounting parlance, generally refers to the excess in the purchase price of a company that cannot be attributed to any income producing businesses or tangible assets. In this case, it seems to represent what Facebook deems to be WhatsApp's potential future value. The $15 billion could be attributed to "expected synergies from future growth, from potential monetization opportunities, from strategic advantages provided in the mobile ecosystem and from expansion of our mobile messaging offerings," Facebook said in the SEC filing. The other line items breaking out WhatsApp's value are: $2 billion for its users; $448 million for the trade name; $288 million for its technology; and $21 million for "other" items, according to the filing. $15 billion in goodwill value certainly is, for now, intangible -- WhatsApp generated a net loss of $138 million in 2013, the filing said. Sales were a meager $10 million, compared to Facebook's $7.87 billion for the year. Facebook's plans for making money on WhatsApp and growing the service are a longer term play possibly five years away, Facebook CEO Mark Zuckerberg said during a conference call with analysts on Tuesday. 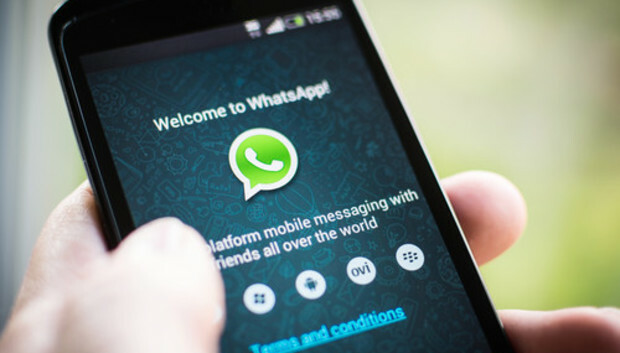 WhatsApp likely has at least 600 million monthly active users, judging from a tweet posted in August by CEO Jan Koum. Facebook now has 1.35 billion users who log in monthly, it reported Tuesday. Facebook's acquisition of WhatsApp officially closed earlier this month. As of closing the deal was worth around $21.8 billion total, due to the higher value of Facebook's stock compared to its value at the time of sale.